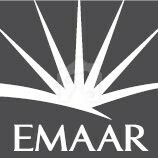 Emaar Pakistan is pioneering the concept of master-planned communities that integrate residential amenities with schools, healthcare, shopping malls, hotels, dining and entertainment, to bring a world-class lifestyle to the country. We are now building the spirit of Pakistan with outstanding lifestyle communities currently underway. In Karachi, Crescent Bay, the seafront wonder, is a vibrant community of high-rise towers set along three crescent shaped man-made bays. In Islamabad, Canyon Views offers superb villas, townhomes and apartments with the finest architecture, facilities, security, views and green open spaces availabe in the capital. A subsidiary of Emaar Properties PJSC, the Dubai-based property developer, Emaar Pakistan is fast becoming the property developer of choice for the nation. Discover luxury living on a new level with Crescent Bay, a masterpiece designed for people who have grown to appreciate the finer things in life. Crescent Bay will offer a vibrant community atmosphere with a safe and natural ambience. Arranged along three bays, Crescent Bay combines breathtaking natural beauty with a blend of traditional styling and contemporary built-up. Crescent Bay is determined to set a new benchmark for the city’s elite to live, work, play and shop and is sure to become the most desirable and talked about address in Karachi. Crescent Bay enjoys a beautiful two-kilometer seafront along the shores of an Arabian Sea (spectacular location in the DHA Phase-VIII Extension next to do Darya). Three curved coastal bays give Crescent Bay a unique character. The community features will include parks and mosque, with a mix of tall towers and mid-sized buildings that will provide over 4000 luxury residential apartments, penthouses, retail units, a shopping mall and luxury hotel apartments. If you work in Karachi, Crescent bay offers easy access to both the Sea View Road and Khayaban-e-Ittehad. On the weekends, enjoy a leisurely round at DHA Golf Course, right next door. Imagine life without having to drive through the rush hour traffic morning and evening. Imagine your offices, within walking distance of home, with magnificent views over the Arabian Sea. Crescent Bay has been designed with your needs in mind, and work is no exception. At the heart of Crescent Bay is a commercial district that will offer an outstanding environment for business, with boutique offices, wonderful surroundings and none of the congestion and stresses usually associated with work in the city. Crescent Bay will offer excellent opportunities for forward-thinking retailers, with a captive audience of well-to-do consumers right on your doorstep. This is truly where work and leisure meets! A new era is about to begin in Karachi, as Crescent Bay sets new standards in the way people live, in the way they think, how they interact, what they value and how they see themselves. With more to do, more to taste, more to see and more to enjoy, this is your opportunity to own and experience Karachi’s most exciting lifestyle. Whether you choose to stroll down the promenade, shop at one of the myriad of retail outlets, take in the idyllic sea views, lie in the sun on one of the exclusive beaches, relax in one of the parks or meet friends in an outdoor cafe, only Crescent Bay can offer you the life of your dreams in Karachi. Crescent Bay offers more than simply a peaceful and luxurious way of life. With the sea, marina and exceptional facilities available, you will be inspired to lead active and healthy lifestyles in the outdoors. Crescent Bay have ample space to explore, with parks, landscaped grounds, swimming pools, water features as well as lush pedestrian walkways, here you can sit, relax and soak up the beautiful surroundings. Crescent Bay is permeated with a liberating sense of space, where families are free to spend quality time exploring and discovering together. An incredible choice of recreational activities will be available, including state-of-the- art health clubs equipped with the latest technology, and the full complement of modern sports facilities, from tennis and squash courts to moorings for your yacht. With all his on your doorstep, living life to the full will simply is a part of your every day. Crescent Bay Coral Towers are architectural masterpieces that maximize the uninterrupted sea views that stretch out to the horizon. The towers share exceptional facilities, including a large swimming pool and children’s paddling pool, a gymnasium, function room and barbecue area. Spacious interiors with high ceilings and abundant natural light spilling in through the windows make every Coral Towers apartment a place of peace and tranquility. Polished granite and marble in the kitchens and bathrooms complement the contemporary fittings and faucets. Crescent Bay is a masterpiece designed for the privileged with a taste for the finer things in life. Enter a lively and vivacious community that offers a variety of buildings that comprise of over 4000 luxury apartments and penthouses secured by a 3-layered security system.